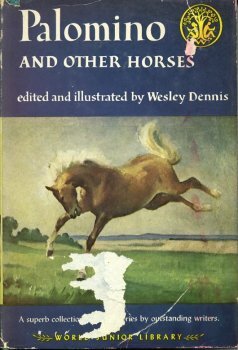 A collection of 14 different horse stories by 14 different authors, such as: Wesley Dennis, Bud Murphy, Will James, Clement Wood, Ernest Thompson Seton, sarah bowes Lyon, & more. 226 pgs. Ages 12 & up. 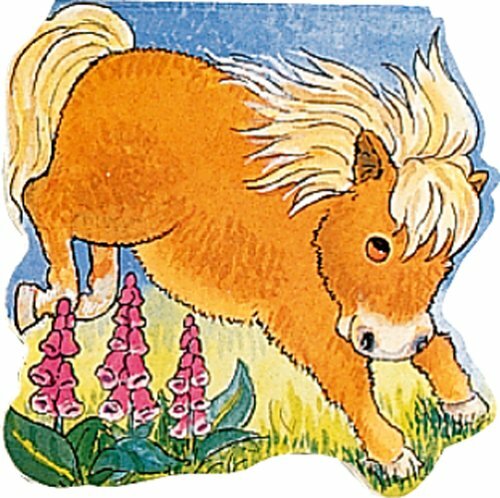 Board book shaped like a pony. Penny finds a mound of earth. Who could live in there? Ages 2-4. Pets: Cats, Dogs, Horses, & Camels, Too! 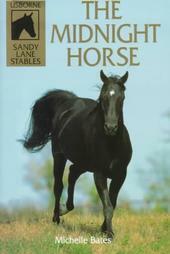 Learn about the history of horses, along with other animals we have as pets, such as cats, dogs and goldfish. Color photos & illustrations. 31 pgs. Ages 6-9. 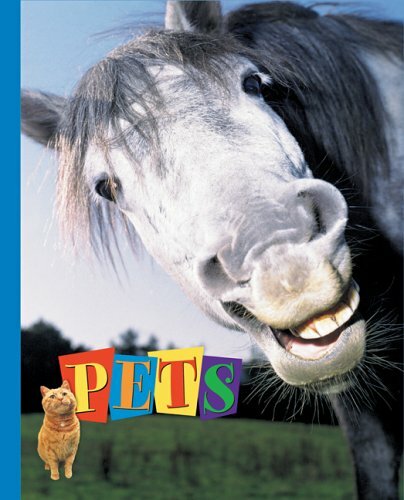 Cute little story told from a pony's viewpoint, small pony shaped book. Ages 2-5. 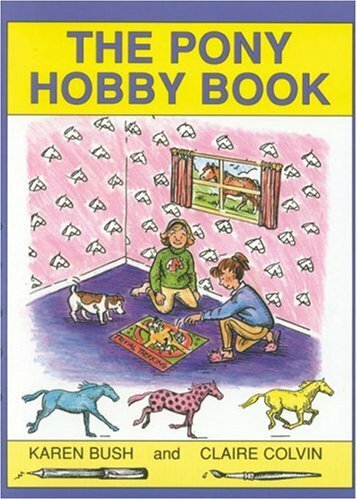 This hobby book is packed with inventive projects for young pony enthusiasts to make and decorate. 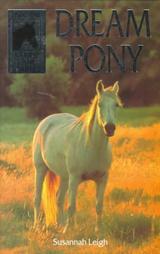 Hours of fun for pony lovers, games, activities, educational info. 64 pgs. Ages 6-10. 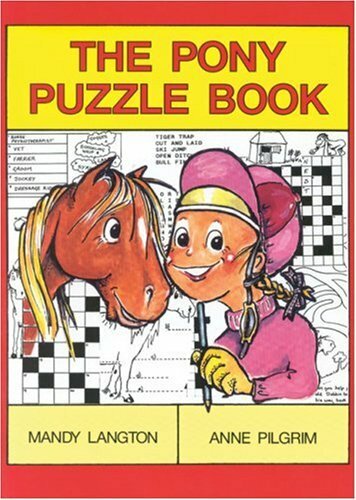 Variety of puzzles testing the riders knowledge of pony husbandry, full of cartoons and popular brain-teasers. 64 pgs. Ages 8-12. 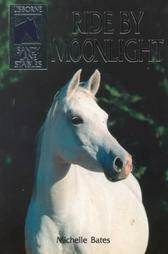 Follow the life of an American Saddle Horse named Pride from birth through her first three years of life. B/W photos. Ages 6-10. 39 pgs. Robbins captures the time-honored tradition of rodeo in this spectacular photo-essay. 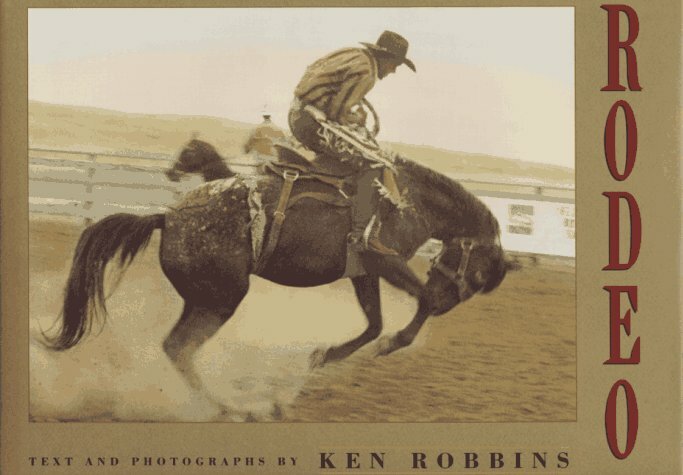 The evocative, poetic text explains clearly and simply how rodeo works and what it is all about. Stunning hand-painted photographs show readers that rodeo is more than just a sport or an exhibition--it's a celebration of a way of life. Ages 4-8. Story of a horse. 184 pgs. According to Indian legend, a Medicine Hat stallion is so sacred that no harm can come to its rider. When young Peter is given one, he recognizes immediately how special this horse is. Naming him San Domingo, Peter trains the colt and they share many adventures. Illustrations. 236 pgs. Ages 9-12. 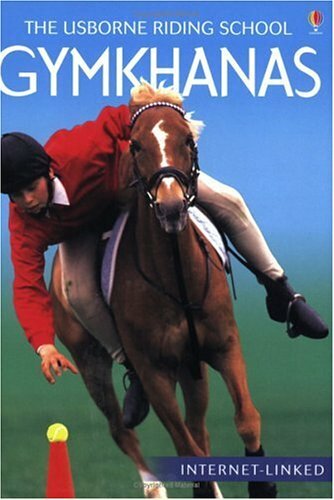 Exciting adventures of the children & horses from Sandy Lane Stables. 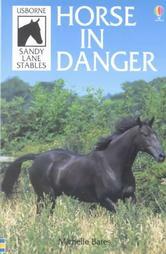 The fifth book in the popular Sandy Lane Stables series finds Jess Adams riding ponies at Sandy Lane and loving it! When the stylish Rychester Riding Stables down the road opens its doors, Jess doesn't imagine for one moment that it will make any difference to her. But then something happens to change Jess's loyalty. 112 pgs. Ages 9-13. Adventure of the horses & kids from Sandy Lane Stables. You're being so secretive...Jess's accusation rang in Rosie's ears. It was true. Until recently, Rosie and Jess had done everything together. But that was before Rosie stumbled across a plot to fix a race. Now Rosie is torn between saving a horse and losing her best friend. What will she do? 96 pgs. Ages 9-13. Exciting adventures of the children & horses at Sandy Lane Stables. 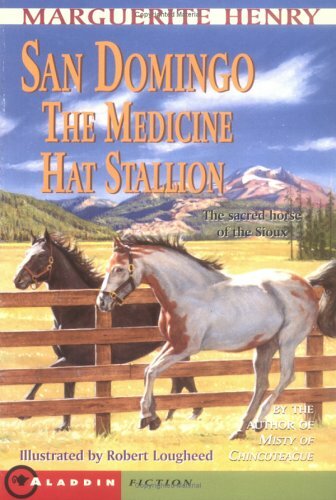 The fourth book in the Sandy Lane Stables series. Riding at the Hawthorn Horse Trails is all that Kate has dreamed of and this year she's in and has a real real chance of winning. It seems that nothing will distract Kate from her goal--until the mysterious midnight horse rides into her life. 112 pgs. Ages 9-13. Exciting adventures of the children & horses of Sandy Lane Stable. 96 pgs. Ages 9-13.